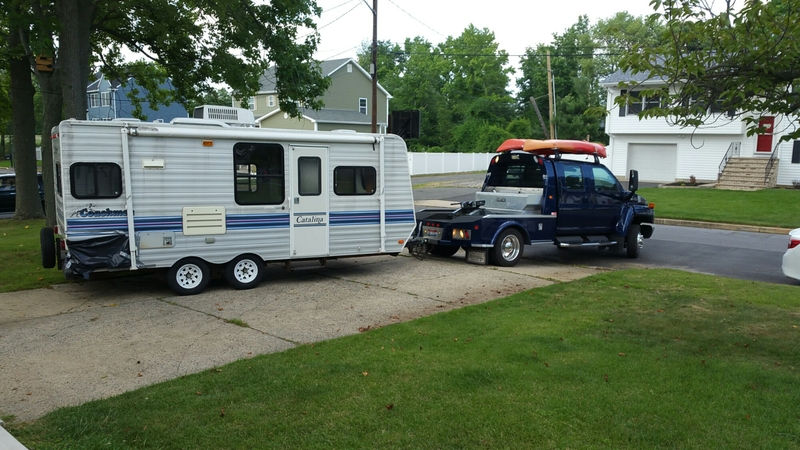 Our camper got her new tires this week and successfully made the journey from Edison, New Jersey down to Port Monmouth. Lots of thanks to Paul’s dad for pulling it for us, not that it’s much of an issue with the truck he’s got. Our camper has a great little spot on the side of our yard where it fits perfectly. Now that the camper is home we hope to make some steady progress. I will keep updating regularly, but now we’re off for a long weekend in Maine (without the camper).